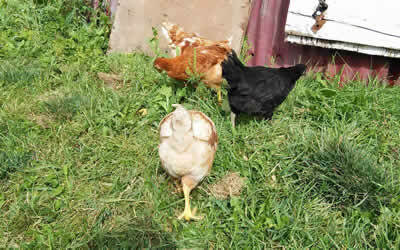 Chickens love to be outdoors, doing what chickens love to do, scratching and looking for food in a pasture environment. The way nature intended. We currently source our baby chicks from a local hatchery as day-olds. We raise two breeds of birds; the Sasso, which is a pasture breed, and the Ross, which is the more conventional white bird that most people are used too. 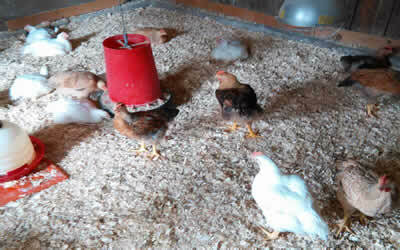 We keep the chicks safe and secure in the spacious brooding area of our naturally ventilated barn. 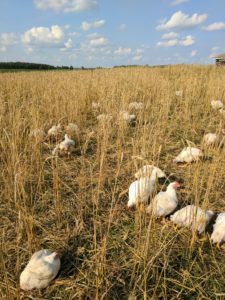 At 3-4 weeks of age, and depending on the weather, they are placed onto lush green pasture in our portable chicken tractors. They are moved daily onto fresh grass. 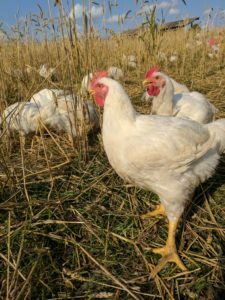 Because chickens, unlike sheep or cattle, cannot live on grass alone, they are provided free access to a Non GMO soy free feed. This is to supplement the approximately 20% of their diet that they receive from being on pasture. They have free access to water at all times. We love raising turkeys. Their curiosity, social behaviours and unique vocalisations, (Yes, We Talk Turkey) make them an interesting animal to raise. Our turkey chicks come from the same hatchery as our chickens. We raise two breeds of turkey; the traditional “white birds” which are Nicholas as well as the more historical Orlop Bronze. 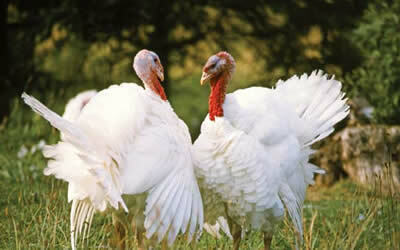 Turkeys require a little more attention than chickens before they go out on pasture. We keep them in our warm but well ventilated barn for the first 5-7 weeks of their lives. We then move them out to the pasture, where they have a large electric fenced in area that keeps them safe and allows them to roam, and exercise their curiosity. We move the fence on a regular basis to ensure the turkeys always have access to fresh grass and insects. They have a shelter complete with fresh water and Non-GMO grain. 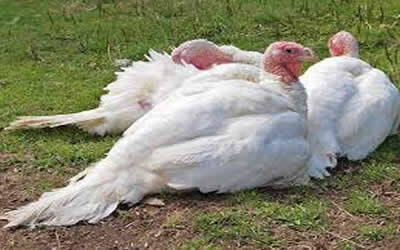 The great thing is turkeys is that they can receive up to about 40% of their diet from pasture. Our forest/pasture raised pigs are raised in keeping with the philosophy of allowing them to celebrate the true pigness of pigs. 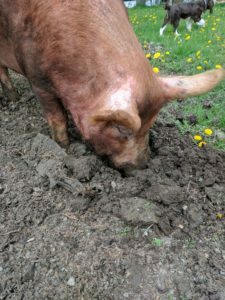 We, (ok, just to be clear, it’s Leroy, our Tamworth boar), breed our sows so that they have piglets in the spring that are then forest/pasture raised and spend the rest of their days roaming, rooting, and rolling in the mud. 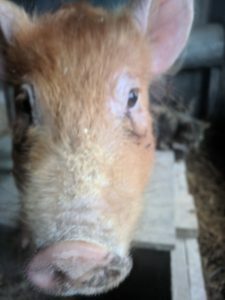 We currently raise Tamworth, which are known as a “bacon” pig, due to their longer leaner body structure. We are also currently sourcing another heritage breed which are known for their hardiness. We focus on breeds that do well in the natural environment we provide them. 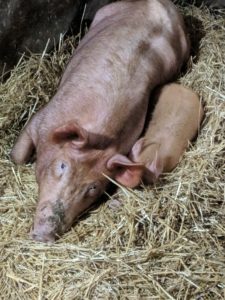 Utilizing the combination of forest and pasture provides the pigs with protection from the elements when required, and allows them access to areas to root and graze as they desire. They have a constant supply of fresh water and their forest/pasture diet is supplemented with free access to Non-GMO grains. We selected Lowline Angus (Aberdeen) as our beef breed of choice. They are not miniature cattle, but a distinct breed of Angus. 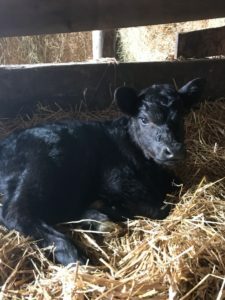 In 1929, a choice Aberdeen Angus herd from Canada, supplemented by additional animals from the USA and Scotland, was purchased by the Australian government to form the foundation of a research herd at the Trangie Agriculture Research Centre in NSW, Australia. The Angus herd was divided into three groups; the “High Line”, the “Low Line” and a random “Control Line”. A detailed evaluation of weight gain, feed intake, reproductive performance, milk production, carcass yield and quality and structural soundness was carried out. 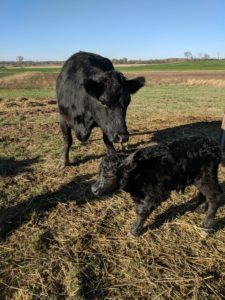 “Low Line” cattle were found to be extremely efficient converters of feed to beef while maintaining performance in the other characteristics studied. They are extremely hardy, naturally polled, black or red in color, and small framed. At all stages of their growth they are about 60% of the size of normal beef cattle. 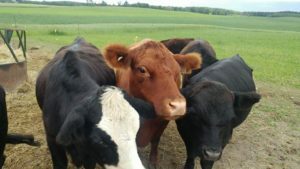 Lowline cattle mature early, are very docile (visit the farm to see for yourself!) and calve easily. Lowline are extremely efficient grass feeders and can even be finished on grass, which our cattle are. Even their treats are hay cubes! They provide a meat that has reduced fat but greater marbling. Grass-fed beef nutrition includes significantly more omega-3 fatty acids and more conjugated linoleic acid (CLA) than grain-fed beef. Grass-fed beef, one of the best protein foods around, and is also higher in precursors for vitamin A and E and cancer-fighting antioxidants compared to grain-fed beef. Cuts are smaller which is attractive to the health conscious consumer. Our grass fed beef are raised in a natural, stress free environment . Check out our products page for more information on what we sell!